A great decoration to let the trick or treaters know you are celebrating Halloween this year! 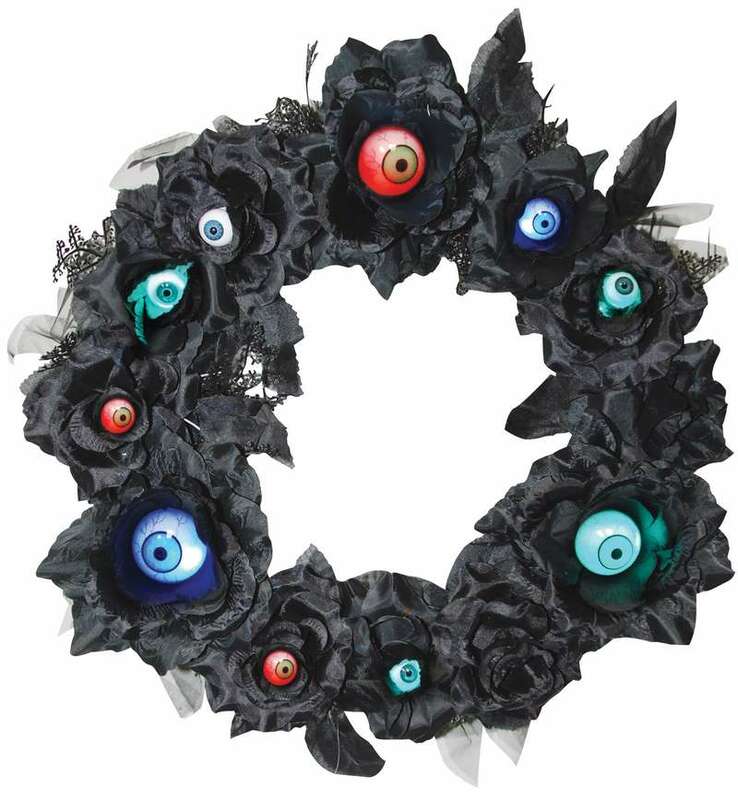 This wreath has light up eyeballs and is sure to draw them in even as the hairs on the backs of their necks start to stand up! Measures approximately 15 inches.